The Cistercian hagiographer, Jocelin of Furness (fl.1175x1214), composed four important and influential saints' lives; varying widely in both subject and patron, they offer a rich corpus of medieval hagiographical writing. His Vita S. Patricii and Vita S. Kentegerni provide updated versions of each saint's legend and are carefully adapted to reflect the interests of their respective ecclesiastical patrons in Ireland and Scotland. The Vita S. Helenae was probably commissioned by a female community in England; it represents an idealised narrative mirror of its early thirteenth-century context. In contrast, the Vita S. Waldevi was written to promote the formal canonisation of a new saint, Waltheof (d.1159), abbot of Jocelin's own abbey of Melrose in the Scottish borders. 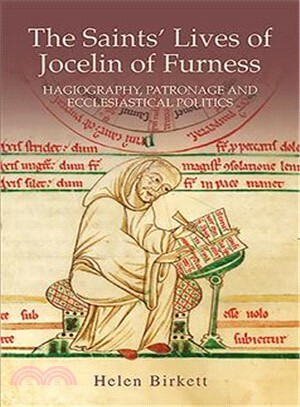 This first full-length study of the Lives combines detailed analyses of the composition of the texts with study of their patronage, audiences, and contemporary contexts; it provides new insights into Jocelin's works and the writing of hagiography at the period. Helen Birkett is a Mellon Fellow at the Pontifical Institute of Mediaeval Studies, Toronto.